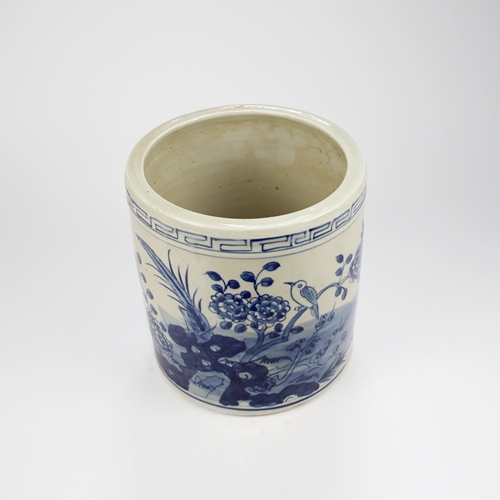 The porcelain container arrival sale is on plus a giveaway!! As I do every time a container arrives, we hold a 1-2 day arrival sale of the entire container (some items are sold out or near extinction:) Items that are sold out that are coming back in April can be preordered. 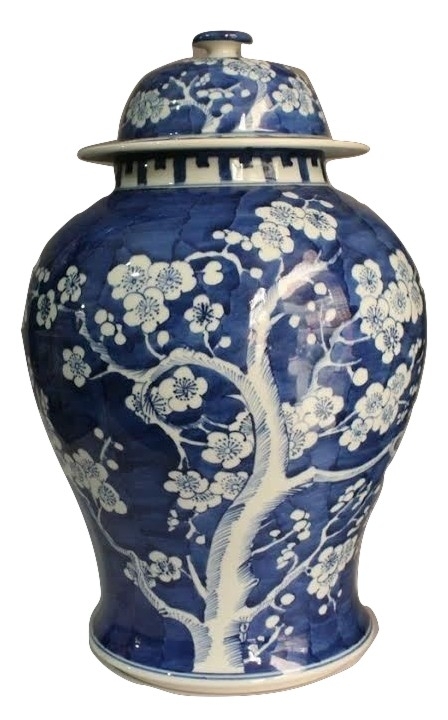 With spring on our doorstep this is an opportune time to add some blue and white cheer into or outside of your homes! PRESALE ITEM 21. We are sold out of these, but are taking presale orders for this item as it is wildly popular. The next shipment will be late April/first week of May. This is your chance to secure them at a presale price (they will be going up in price to $185). 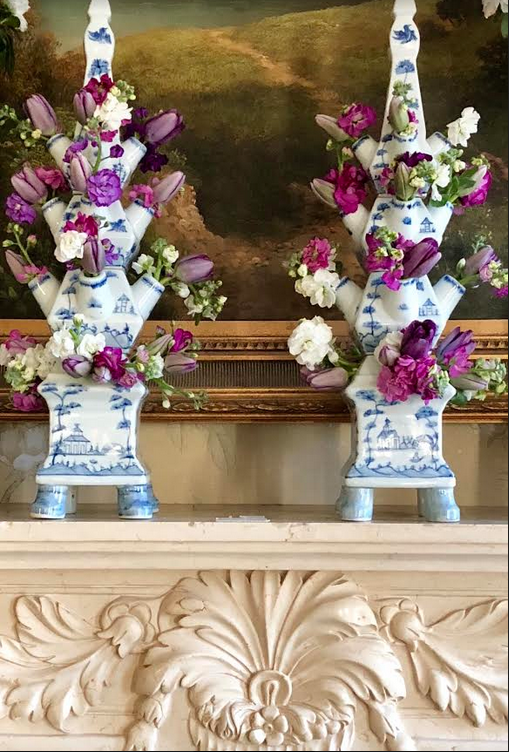 This was replicated after an antique English planter I have owned for years, it is amazing how it is a carbon copy of the original. Truly exquisite, all hand painted and hand molded with beautiful real gold leaf detailing. Would love to win your gorgeous new arrival! Have to take inventory of what I need before I decide tonight! Also, getting excited for the bunnies! My favorite is #21, I have always loved this style of planter and didn’t know that they came in smaller sizes for the dinner table, haza!! Thank you, as always, for bringing a little more beauty to our lives. Beautiful pieces! A great mood-elevator to push us into spring! I can see my oranges perfectly placed in this pierced dish! Hope I win this one…. I just recently ordered 2 of the trellis garden seats. I’m so darned excited to get them I can barely stand it. This is the start of a very fun passion!! Love it all, just beautiful! All I can say is WOW!!! They are ALL such gorgeous pieces that I cannot decide what I love the most!!! All your new arrivals are just gorgeous. I just love your new garden seat with the “bumps” border! Unfortunately, it’s sold out. Will you be restocking that one? Love your blog. I am excited to see your vacation home. It is lovely. 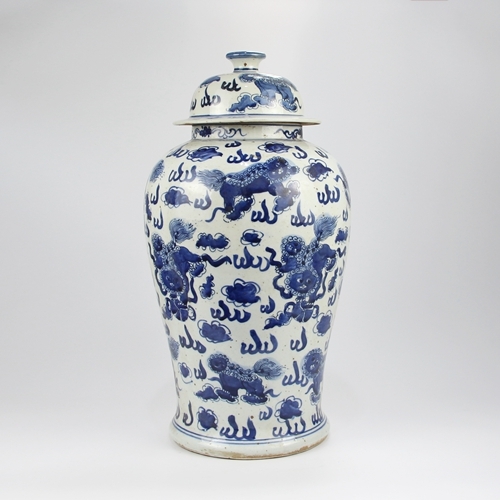 The ginger jars are magnificent! Truly a spectacular display of beautiful blue and whites. Makes for a “happy spring” with any one or multiples of these BEAUTIES ! I love your garden seat with raised bumps. It looks so fresh and traditional at the same time! I’m looking forward to your bunnies too. Your picture at the end of each post is dear. I’m loving all this blue and white! Made the plunge and can’t wait for my pieces to arrive! 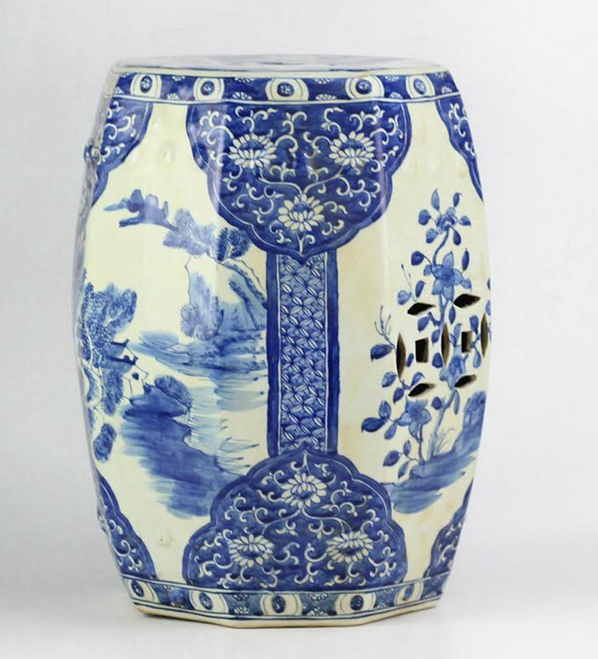 So happy you have filled a niche for those of us who love blue and white!!! Thank you! 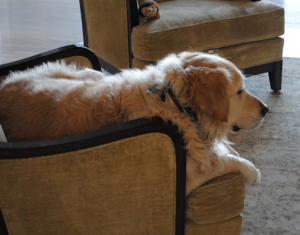 I love seeing the photos of Teddy! Time to get my presale order in for the planter before they sell out again! So disappointed the garden seat is sold out. Love it all, but excited to receive my fishbowl! Thank you for bringing back the sweet little foo dogs. I missed out last time! 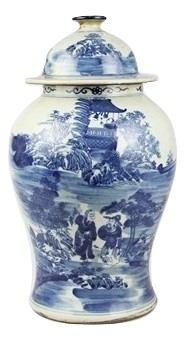 Would love to see the medium size flat jar in the landscape/village scenery make a come back! Impossible to choose from so many gorgeous things! Though the give-away and #21 are on my list. Can’t wait to get the Easter treasures too! Impossible to choose from so many gorgeous things! The give-away and #21 are on my list. Can’t wait to get the Easter treasures too! So many goodies for the eye! Congratulations! 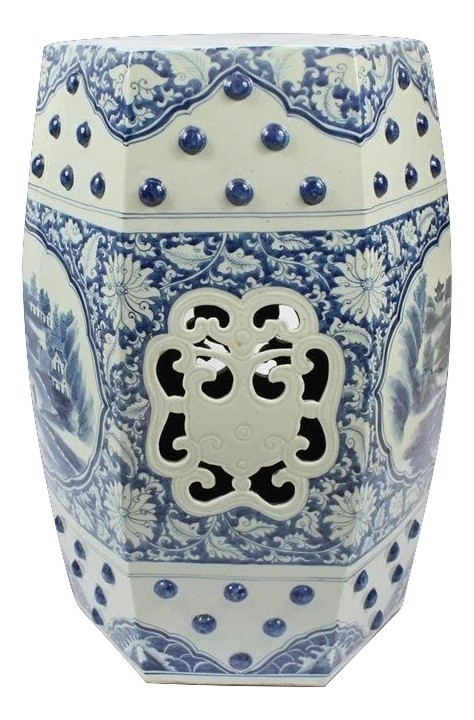 I always enjoy browsing the new blue and white items. I am longing for spring! Just love blue & white! You never disappoint! OWWWW, I have just the place for that beauty. Please include me in your beautiful pierced blue and white dish give-away!! P.S I just love all the pictures of Teddy the Bear – he was magnificent, hugs to you. I love your blue and white! I can’t tell you how many times I’ve had the pierced blue and white dish in my cart! How fun to be today’s giveaway! More beautiful things. I love them so much. I cannot wait until the bunnies come in! Deciding what piece to add to my collection. 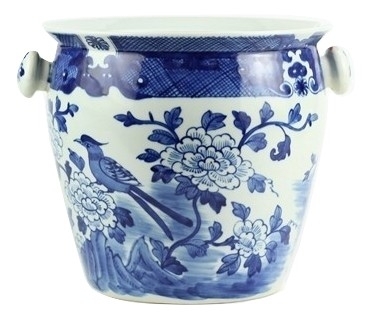 Beautiful blue and white options … Love the village scene tulipieres and square planters! Can’t wait to receive my newest purchase! As always a beautiful selection! I love, love, love the pierced blue and white dish! I can think is so many ways to use it in my home. Love everything about this post! It certainly has me in the mood for Spring ! I love drooling over your new arrivals! So many beautiful blue and white things to choose from. I’d really like one or two of each!! Lol! Everything is gorgeous, just as we have come to expect. Looking for garden seats. Yours are fantastic. The patterns are a standout. Bingo! what a lovely dish!!! Sure wish I could get my hands on those tulipieres! My absolute favorite is the garden seat that is sold out. Beautiful! What fun I had looking thru all of these wonderful items. I really do think I need a garden stool for my deck. I just want some warmer weather first! 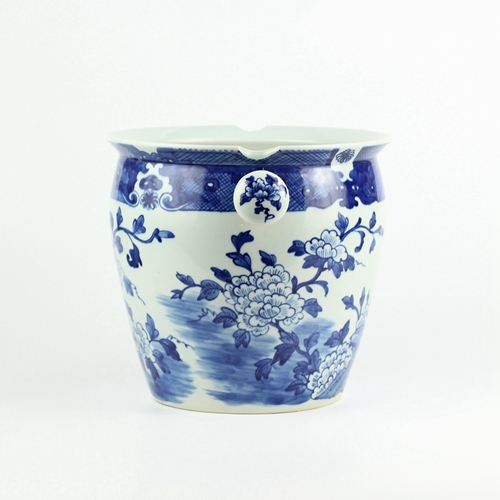 I love all of the blue and white porcelains, and enjoy the ones I have ordered from you! Love the new piece! Has so many potential uses: candy dish, strictly decor like moss balls or just beautiful by itself! Love blue and white! It just freshens up a room. 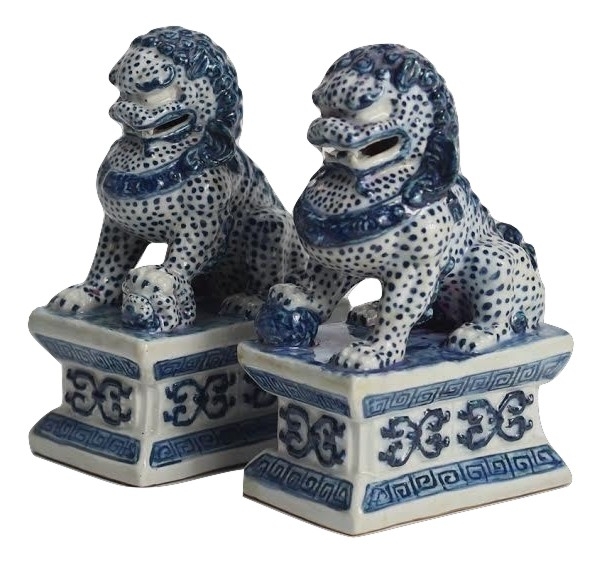 Love the foo dogs and the “antique reproduction “ planters … ! ( and everything else too … 😊 …! All of the new arrivals are lovely! My favorite is #21! Absolutely beautiful! Blue and white is timeless! Happy Spring!! 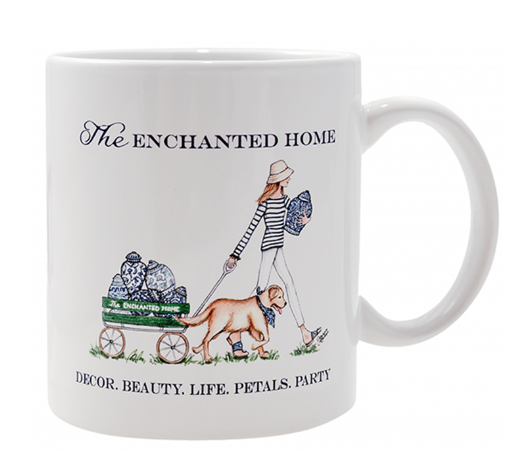 !Everything I need for both everyday and entertaining can be found on The Enchanted Home site…especially Item #2 the beautiful floral wine bucket. Garden seat is spectacular. They are so useful and pretty to look at. Fabulous blue and white additions again. Would love to have more room for some more. Love all the blue and white. All of the new items are stunning! The pierced blue and white dish is lovely. 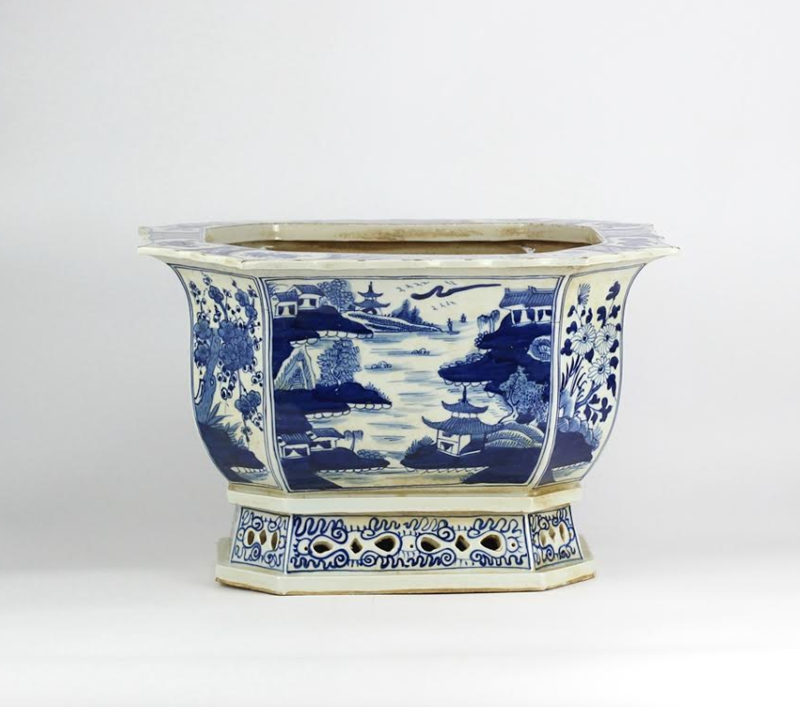 So glad you are getting more of the antique English planters, Thank you. Love the flat top jars! These are all so beautiful, now I just need to make decisions, decisions! 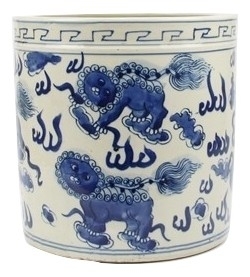 I LOVE the new lion smaller planters and the lion ginger jars! New pattern for me. The pierced bowl would fabulous in my kitchen. So glad to have found this site!!! 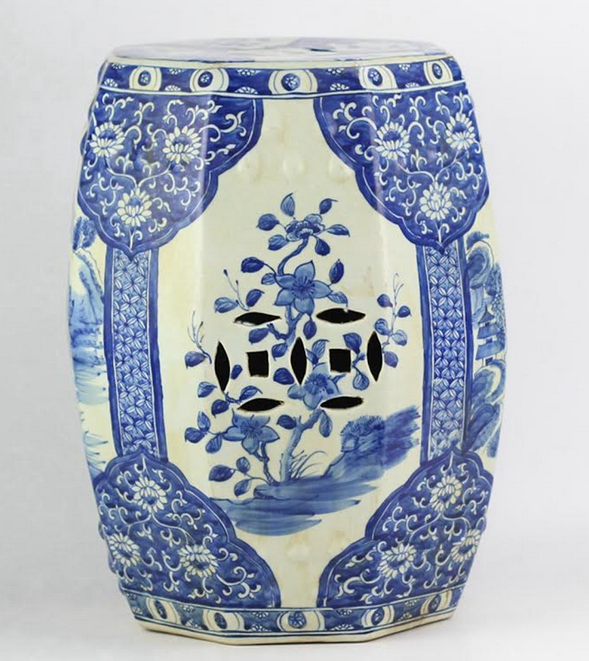 What a wonderful source for my blue and white obsession! It’s all is so beautiful! Will you be getting more of #16, the garden seat? Love it! Fingers crossed. Love all of the blue and white. Want to redecorate and start adding in a few pieces! Thanks for all the beauty! Always so fun to peruse your new arrivals of blue and white. So pretty! Loving all this blue and white! Finding hard to choose! All I can say is “OMG”! It is all just gorgeous!! 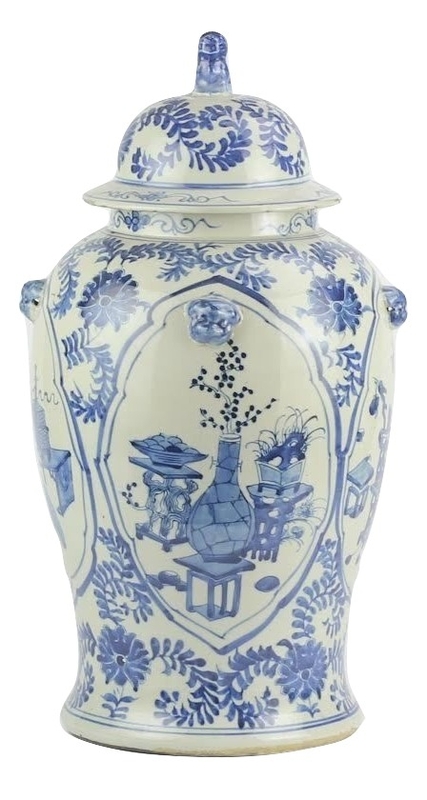 I love all the porcelain decor items, especially the white chunky ginger jar. I would be thrilled to win the pierced dish. Thank you for the chance to win such a beautiful piece of your collection. Thanks for your always-stunning sales! They’re all beautiful….too hard to choose a favorite, although the lovely garden seat that is sold out is gorgeous! So many beautiful things! 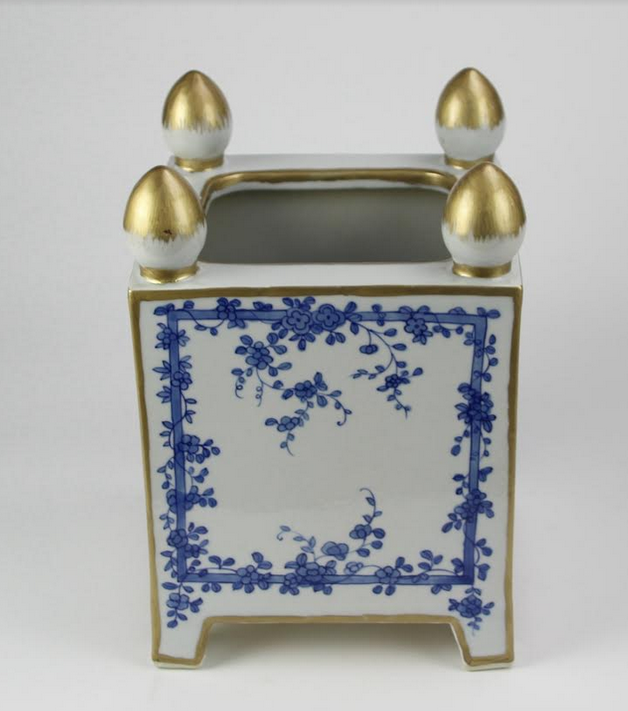 I have my eye on the square planter with gold leafing! Thanks so much for having these sales and doing these giveaways! I love so many of these gorgeous items! So hard to choose! Can’t wait to get my foo dogs! 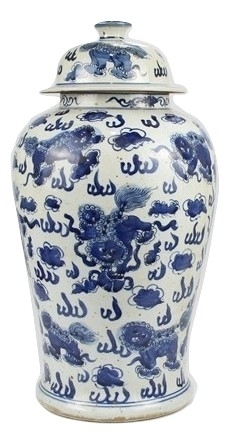 Your blue and white collection is beautiful..again!! The pierced bowl is lovely! 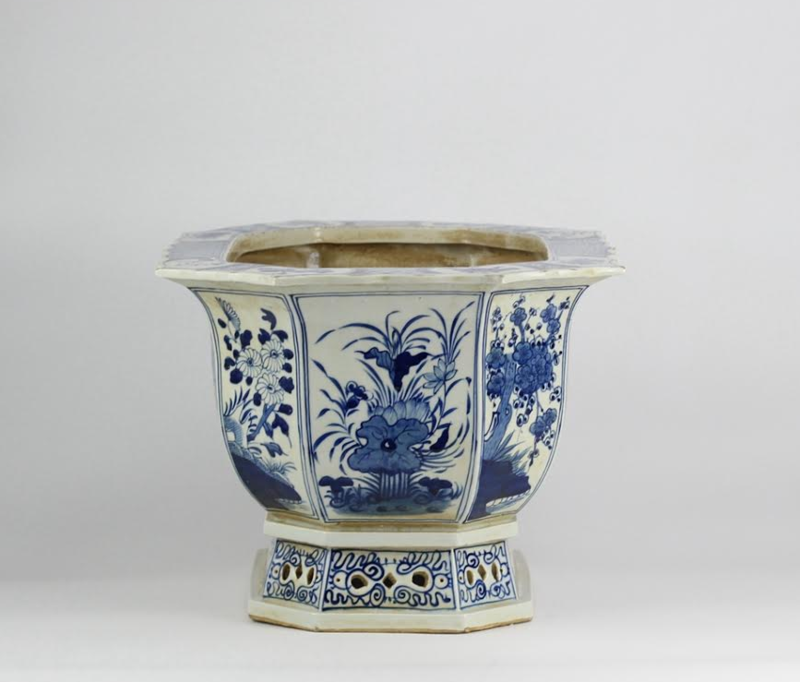 Love the replicas of your antique English planter! Always so beautiful! 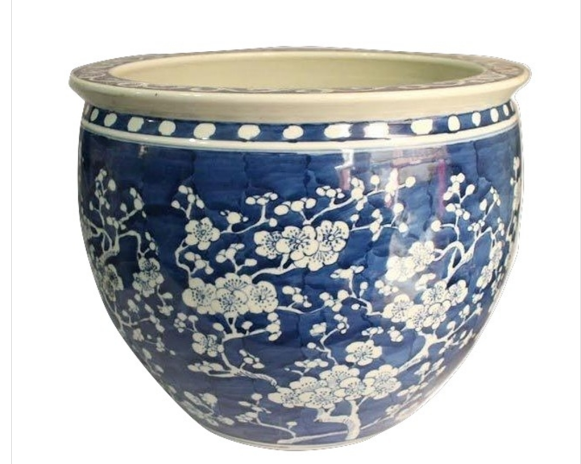 Can’t wait to get my porcelain garden seat, and yes, the pretty give away is awesome too. Blue and white forever! I love all your pieces! Love those adorable Foo Dogs! LOVE those transitional pieces ! 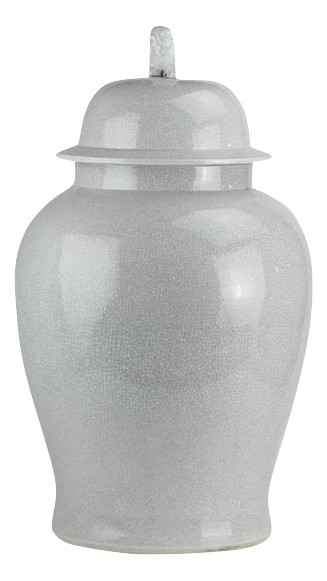 I’d love to introduce that Grey transitional Jar into my home!!! Who says modern can’t do classic?! I am waiting for a bunny. My favorite is the English planter. Love, love it! 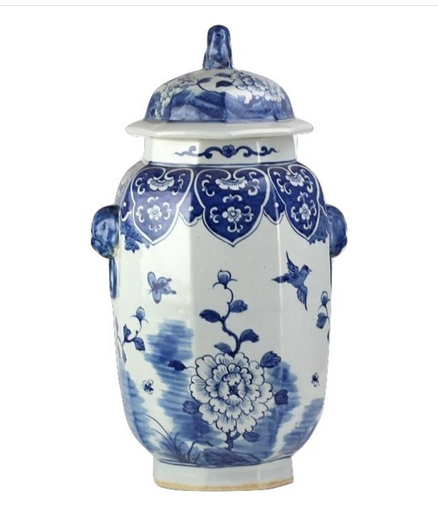 A touch of blue and white can make any room lovely. How I love blue and white accents. 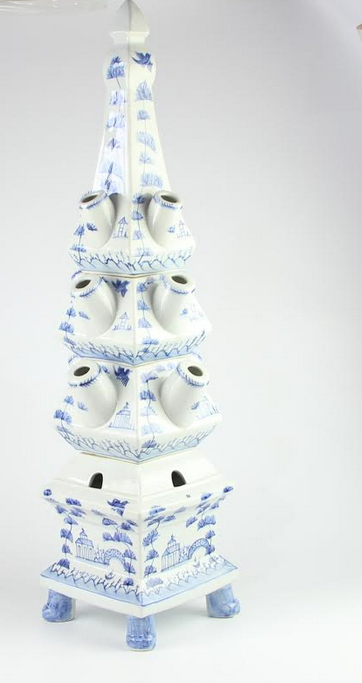 What a wonderful collection of blue and white porcelain ~ a feast for the eyes! If you don’t have it, order the pierced planter! It is versatile and lovely!!! 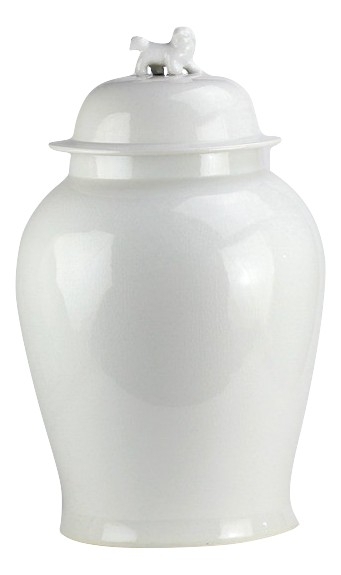 Love the simple elegance of the large white/gray ginger jar! Would go in so many places. A classic! 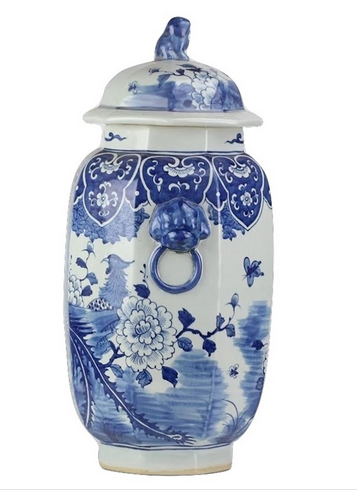 Love the new Lion Ginger Jar! 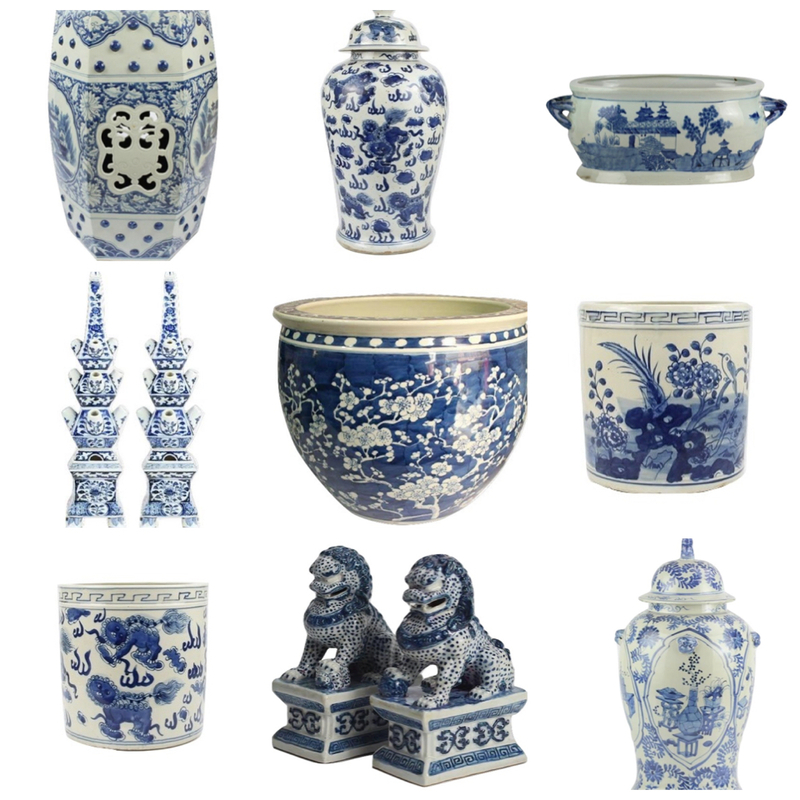 Another great shipment of blue and white treasures! can’t make up my mind! Every piece is elegant, inviting, cheerful with lovely lines! So many beauties to choose from, where do I start! I would love to have one of everything please, if only my budget would allow 😔. So happy to see the Foo Dogs back….my favorites! 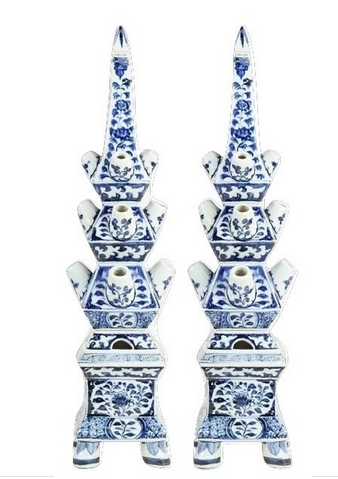 I gave my daughter 2 of the tall blue & white vases for Christmas & she loved them!! Beautiful collection Tina! It’s my (62) birthday this week (what?!) and I’m still celebrating -would love to win the pierced bowl! . The garden seats are gorgeous. Can think of a dozen places around the house!!! Ooooh I love that gorgeous garden stool that’s already sold out! I’ll keep an eagle eye out for it next time. Thanks, Tina, for your always lovely blue and white. So tempting to add another garden seat. Beautiful things once again! I guess I had best run out and get a lottery ticket so I can get EVERYTHING I’d love to have from this site. I’m not sure what I enjoy more, seeing all the new items arriving or the beautiful rooms displayed. This makes a huge difference in seeing how items can be used. There are pieces I would pass by not thinking I would have much use for them but when I see used in a room in a way I never thought about it completely changes my mind. I think this site this evening has me more excited for the arrival of spring AND Easter than any other so far. 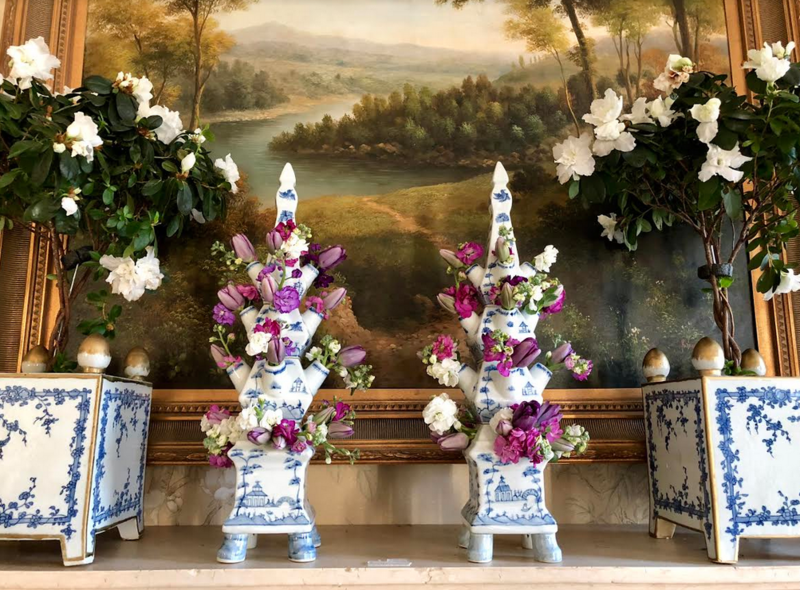 People don’t usually think of this blue and white for Easter, its normally all pastels but this color combination can make the most incredible Easter displays and tablescapes and mantle displays. I love it and I bet Peter Cottontail doesn’t see any homes more beautiful on his rounds on Easter morning. Eyeing the cherry blossom fish bowl. 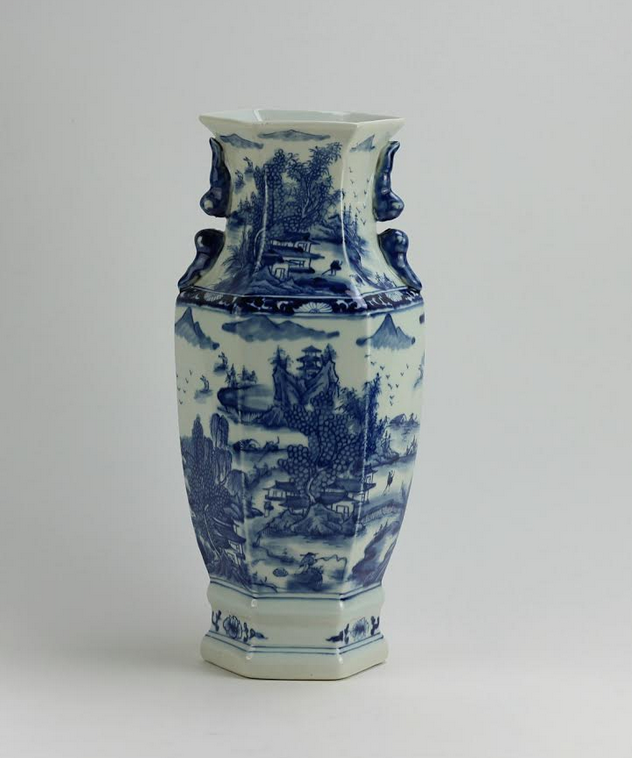 Your blue and white porcelains are beautiful. I have dreamed of several pieces placed in my home. My birthday can’t come soon enough! I love it all! Especially the garden stools. Classic at its finest- love Blue & white! I love all of them ! What I don’t have is the garden seat and blue and white foo dogs. The pierced blue and white dish is lovely and I would certainly love to win it. Would be a lovely addition to my growing collection!! So many gorgeous choices that I’m tempted to say that I’ll take one of each! All the lovely blue and white! What to choose! Love that chunky ginger jar. So unique and pretty! I love everything so much I can’t decide which pieces to order! Always room for some new beautiful Blue and White! Blue and white is so happy. It makes me smile. Would love the large garden seat in my outdoor area! It is gorgeous. 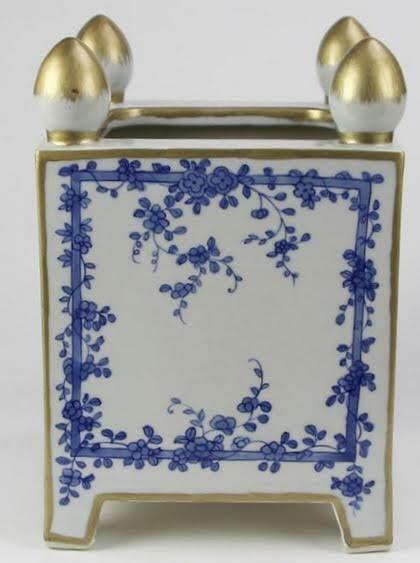 My favorite is item 21 which is the English planter with gold leaf detailing. Your pair of antique planters look so beautiful on your dining table. What gorgeous works of art. Thanks for all your hard work in bringing them to us. Blue and White Heaven today! Love the Tulipieres and hope to order two for my table for Easter. 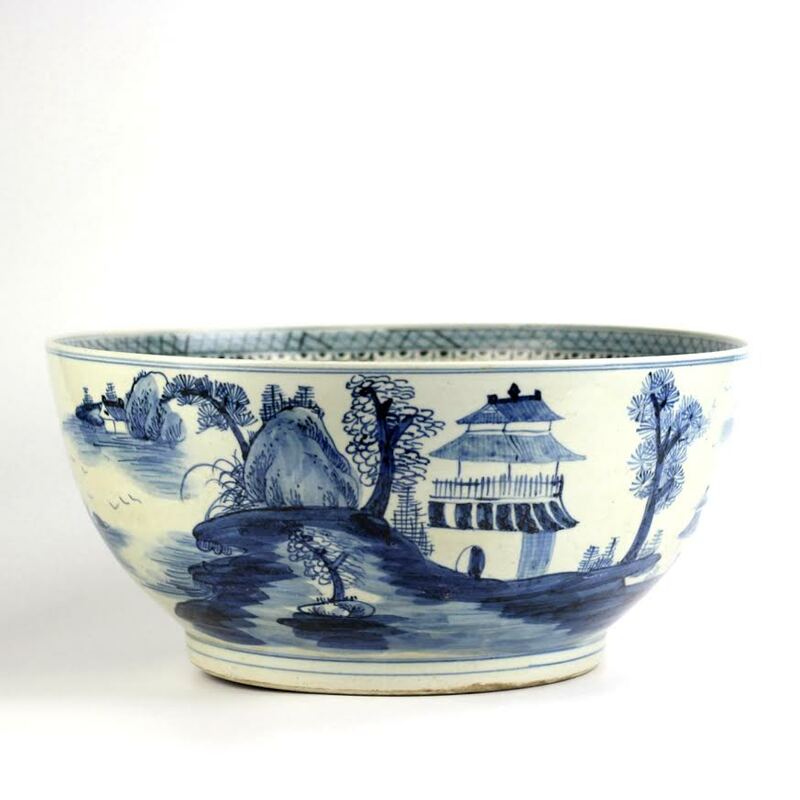 The pierced blue & white bowl as the give-away is so beautiful! Bought some of the porcelain presale. I want more. These are just lovely. I love all of the new items! What is not to love especially the garden bench! The garden seat with bumps is absolutely gorgeous! It would be hard to chose from all the blue and white items you have featured . They truly are all exquisite! 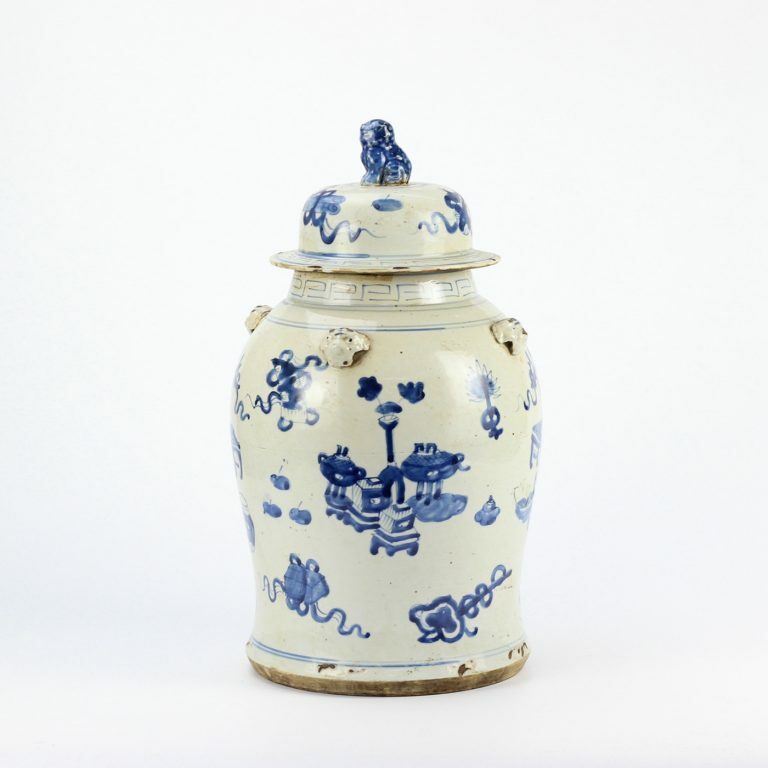 As always another gorgeous container of blue/white lovelies . . .I have my eye on those darling Foo Dogs!! The garden stool is just beautiful!!! I love all of these gorgeous blue and white pieces!! Can’t wait for my garden seat to arrive. So looking forward to it. Thank you. I really don’t see it. Note said I already posted this note. No worries. Presale item 21 look gorgeous in your dining room. Love all the blue and white. So happy to have found your beautiful website! Love everything- so hard to choose. My favorite is the garden stool which is sold out. Will you order more of this one? Would love to be the lucky winner of the pierced dish. 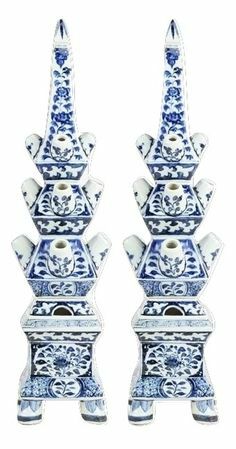 I love all the blue and white pieces you carry! I love your garden seats. Tina, once again you hit it out of the park with these amazing pieces, and at such an affordable price. I have seen so many of these pieces on Instagram for sale at a much higher price. So many beautiful pieces. Happy St Patrick’s Day to you! 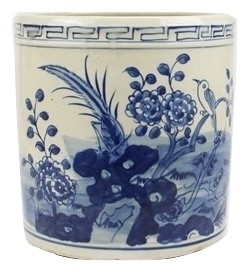 I can not get enough of blue and white and get so excited when you announce a new container coming in !! I wish I had the room for all of your pieces. However I will settle for the beautiful items I already have ordered. As always, gorgeous blue and white. I enjoy your web site so much, especially when you display the merchandise being used as it should be. Beautiful things, from what must be a beautiful spirit. Nice things that I can’t really afford, but I love looking, especially since I can’t break them on line (smile). Thank you, what a beautiful plate. Would look beautiful on our Easter Brunch table! Always like the garden seats. Everything is so nice. Oh my. So hard to choose, but I love item 5. That bowl is beautiful and useful. 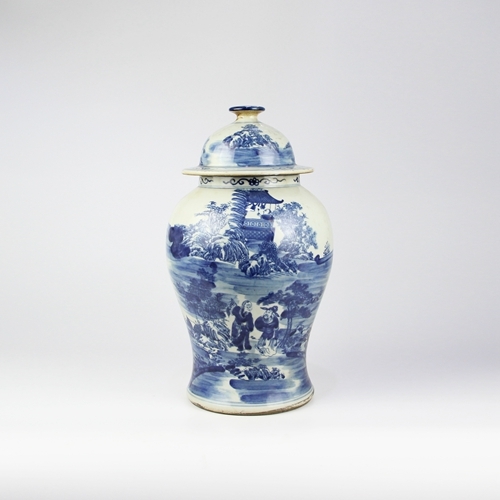 My two rules for bringing in decorative items…..
Love your post and the blue and white. However, do you ever have other colors?? Maybe orange tones? I am delighted I found this site—exquisite! Will be ordering for sure! Once again you’ve done it. Brought us the most beautiful pieces!! Love it all!!! 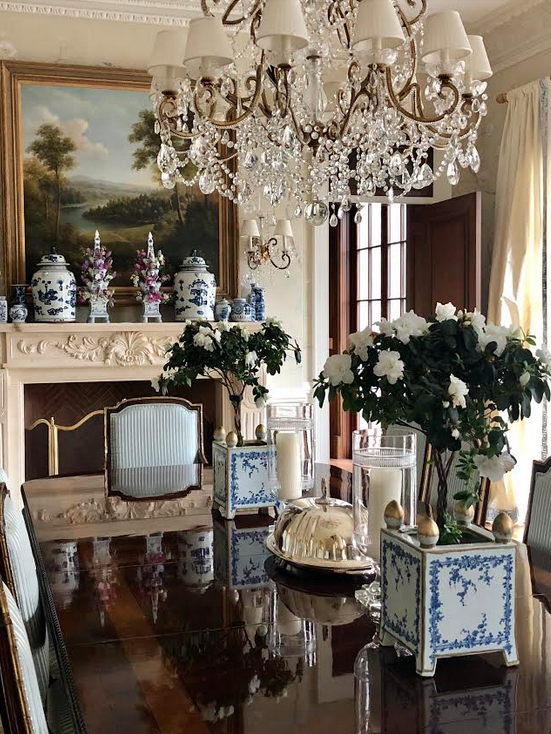 I first fell in love with blue and white China when I was 6 years old. My grandmother bought me on her travels to Holland a pair of ornamental blue and white clogs. (I still have them albeit one is chipped). And now 64 years later I am still loving B&W thanks to The Enchanted Home. 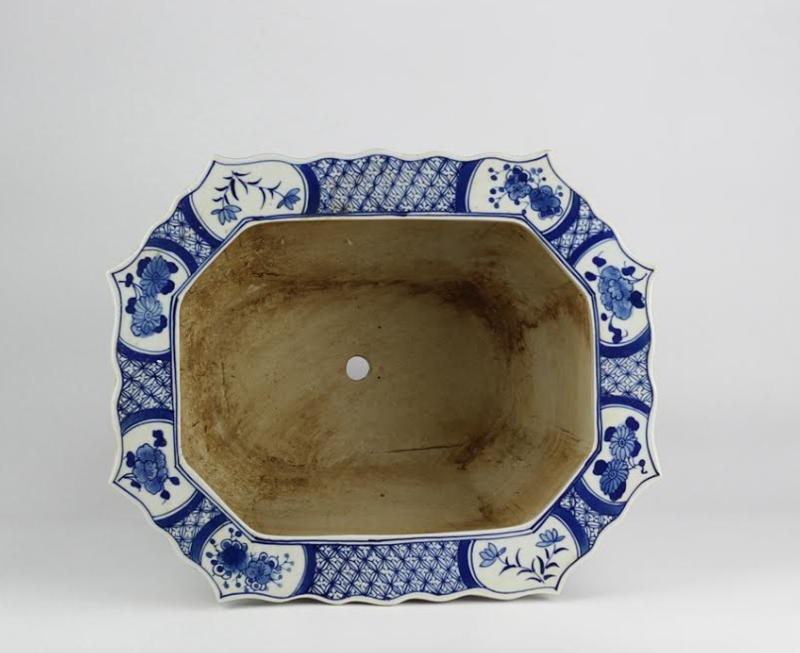 I’d love to win the pierced blue and white dish- what a great piece! I absolutely love all the pieces! I wish I can purchase several pieces to add to my collection. I love item 21. They are such beautiful replicas that would look beautiful just about anywhere in my home. 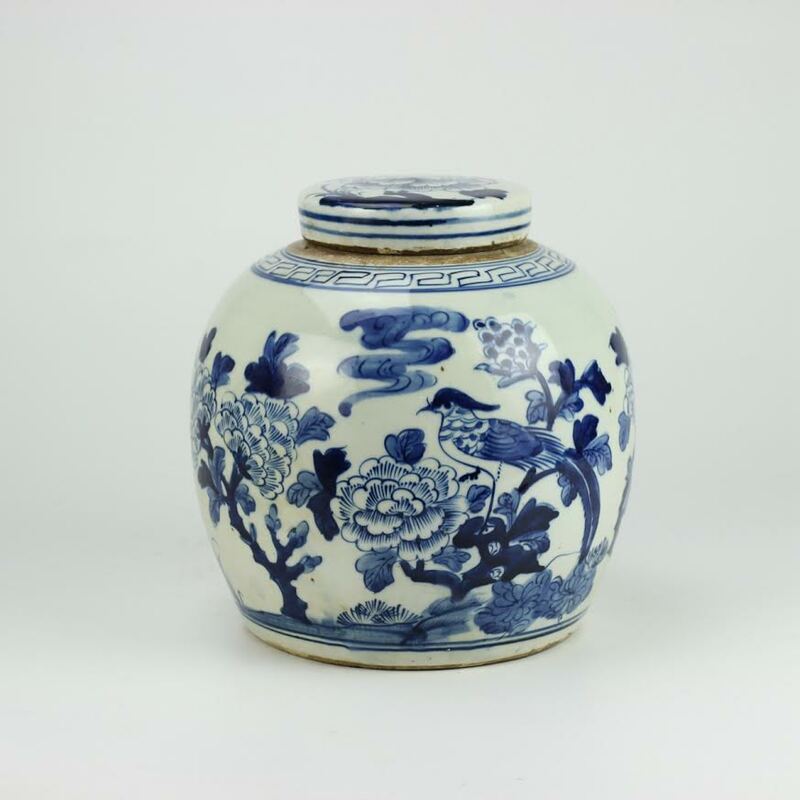 Really love the solid ginger jars.. great to mix with the blue and white. 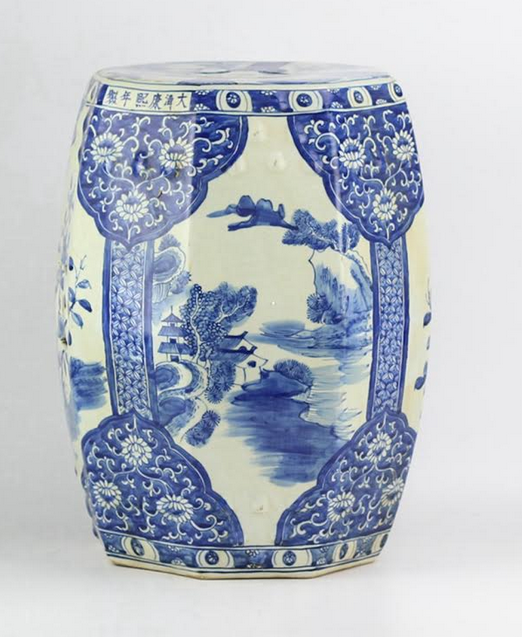 I can’t tell you how much I love ALL of the blue and white pieces in the collection! Wow-so stunning!! I want them all!!! So many pretty things. Love it!